Robin Wright first landed in the Middle East on October 6, 1973, the day the fourth Middle East war erupted. She has covered every country and most major crises in the region since then, through to the rise of al Qaeda and the U.S. invasion of Iraq. For all the drama of the past, however, the region's most decisive traumas are unfolding today as the Middle East struggles to deal with trends that have already reshaped the rest of the world. And for all the darkness, there is also hope. Some of the emerging trends give cause for greater optimism about the future of the Middle East than at any time since the first Arab-Israeli war in 1948. Dreams and Shadows is an extraordinary tour de horizon of the new Middle East, with on-the-ground reportage of the ideas and movements driving change across the region - and the obstacles they confront. 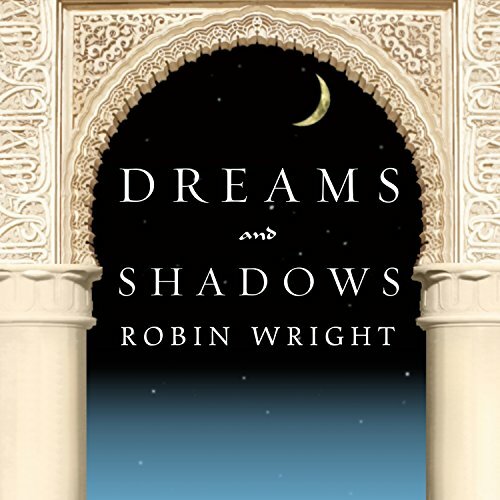 Through the powerful storytelling for which the author is famous, Dreams and Shadows ties together the players and events in Iraq, Iran, Egypt, Syria, Lebanon, Morocco, Turkey, the Gulf states, and the Palestinian territories into a coherent vision of what lies ahead. A marvelous field report from the center of the storm, the book is animated by the characters whose stories give the region's transformation its human immediacy and urgency. It is also rich with the history that brought us to this point. It is a masterpiece of the reporter's art and a work of profound and enduring insight. At the end, Wright offers perspective on the United States' most ambitious and costly foreign policy initiative since the rebuilding of Europe after World War II. The stakes are far greater than winning the war on terrorism, stabilizing Iraq, or achieving a lasting Arab-Israeli peace. Transforming the greater Middle East is the last great political challenge of the modern era. Yet the early burst of activity in a region long stagnant is already becoming one of the first grand surprises of the 21st century. I am deeply disappointed that the narrator (Laural Merlington) makes some major pronunciation gaffes in the first 30 mins of the book. She pronounces Saudi Arabia "Saudi-a Arabia" like it rhymes, and then proceeded to name a Mexican restaurant "Polo Loco" instead of "Pollo" where the "L" is supposed to be pronounced like a "y". She clearly knows only the English language and has poor geographic knowledge. It is ironic that she smears the credibility of this book with her atrocious pronunciation. Also, she hesitates inexplicably ahead of really simple sentence transitions and words and generally talks slowly like she's addressing a slow audience. I haven't heard past the first 60 mins, but I was compelled to beg whoever is reading this to please change the narrator or give her a lesson in pronunciation. I keep trying to get through this book but the narrator's voice and way of speaking is not right for this book. When she comes across a word or name in Arabic, she butchers it. I can't explain it, but her voice is just not right. Excellent background on the Middle East looking at the differences between countries. Robin Wright presents very balanced observations that are experienced based.